Welcome to The Ukulele Kids Blog! 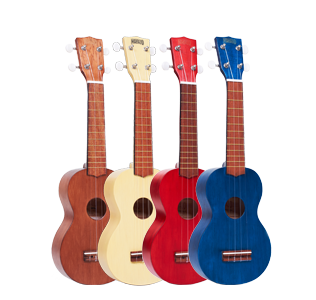 We inspire and encourage children to develop their musical skills and talents, and we want their experience with the ukulele to be fun and confidence-building. You can do a lot of good with a box of ukuleles. Ukulele Kids proudly donated 15 ukuleles to support music workshops, and an evening concert in Resolute Bay conducted by Nunavut singer-songwriter Colleen Nakashuk, who performs as Aasiva. 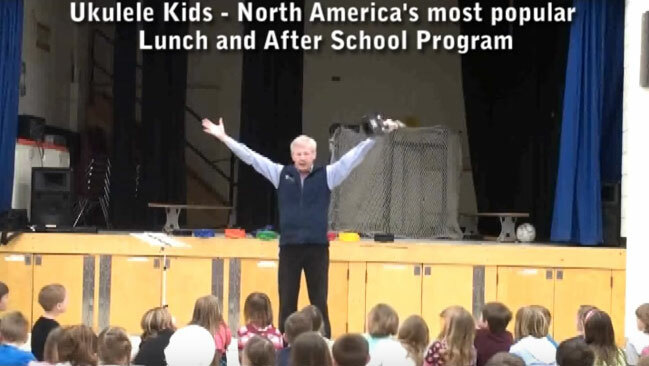 The event was to promote mental health awareness in the Baffin community. Ukulele Kids teaches the ukulele primarily as an instrument to accompany singing, although we do some melody work as well. We teach chords from the very beginning and build on the students' knowledge of and facility with them as we progress through song material. Apart from the numbers in the included songbook, we hand out additional song sheets for educational purposes which increase the range of music we can offer - folk, pop, Disney and other musicals, standards, etc. Our goal is to have students playing and singing virtually from the start - by the end of the first class. 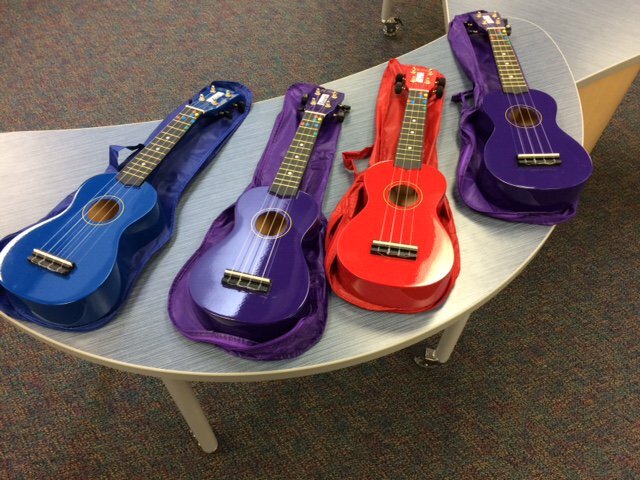 While we are serious about teaching, we also want their experience with the ukulele to be fun and confidence-building. Whenever possible we try to form classes by age group. Typical divisions are Primary, Grades 1-3 and Junior, Grades 4-6. At schools covering Grades 1-8 we tend to split the classes based on what makes sense according to the registration levels for each grade. With very large registrations we will tend to have more classes with narrower grade range for each. The choice of song material and pace of learning expectations are geared to the ages of the students in a particular class. School concerts are opportunities we embrace as they give the parents a chance to see what we've been teaching to their children as well as a venue in which the students can strut their stuff! They generally approach these events with great excitement and pride. The songs in the Ukulele Kids songbook are only the beginning. We have a large repertoire of material that we had out as individual song sheets. For the primary grades we start with songs that can be played with two chords and build from there, sometimes with more chords added to the same songs. Fortunately, an abilty to play 4-06 chords opens up a good range of material to these younger students. Their progress at this stage is very age dependent. Six months can make a big difference. As we urge them ahead, keeping it fun is our priority. With junior students we are able to progress more quickly and expose them to a wider variety of music. At the same time we provide more advanced teaching materials, additional chord charts for practice, an introduction to bar chords and variations on bar chord structures. With the wider range of song styles come different rhythms and strumming techniques. Juniors particularly enjoy playing fairly current pop songs such as I'm Yours, Stay With Me and Riptide. often with newer pop numbers we have to adjust a few lyrics to make them more appropriate. America's Got Talent 2016 $1,000,000 Winner!